noTHING ELSE ANYWHERE ON THE PLANET - SLEEPS UP TO 52! 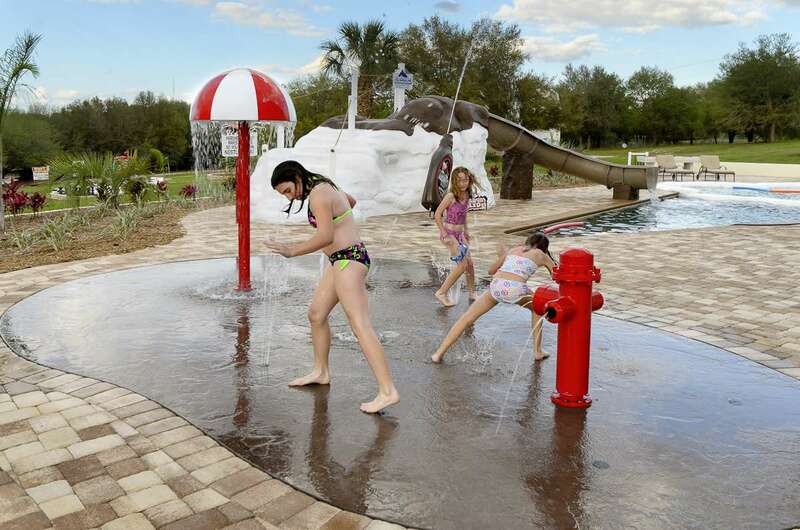 Featuring the world's only ice cream cone shaped swimming pool AND a Hershey chocolate slide, AND a "cherry-on-top-hot tub,” AND an entire splash park, the Sweet Escape is like NO OTHER VACATION HOME RENTAL ON EARTH! Around the estate, there are 10 bedrooms (and sleeping for up to 52 people! ), 2 enormous kitchens, 3 living rooms, several porches & decks, indoor AND outdoor poolside movie theaters, a massage room with sauna, and an enormous theme-park like grilling & entertainment area! 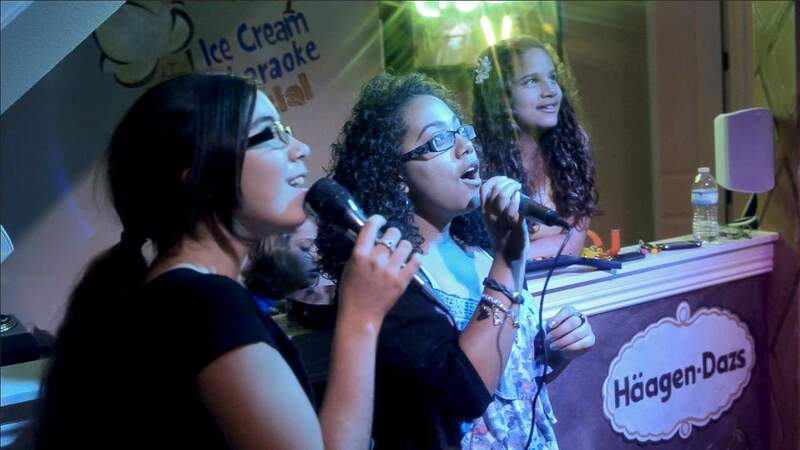 Sing, dance, play, and perform in the main house's 1200+ square foot "ice cream social" night club with disco lighting, karaoke, an arcade full of commercial video game machines, & more. In the main house, a "Milky Way (Bar) Galaxy" Room pits aliens vs. earthlings in an actual game of laser tag for control of our galaxy's Milky Way bars. 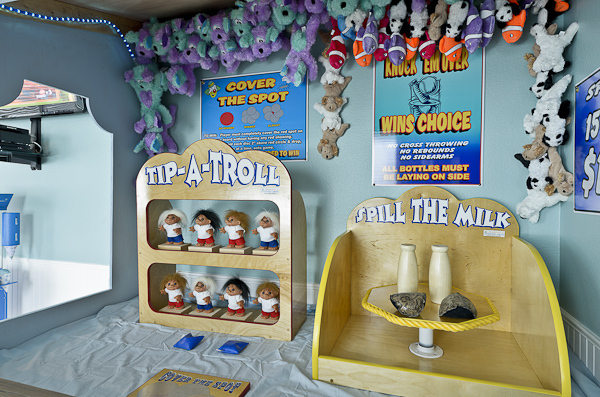 The "Carnival Suite" boasts a romantic atmosphere PLUS a custom-built carnival booth with traditional games like "Tip The Troll." 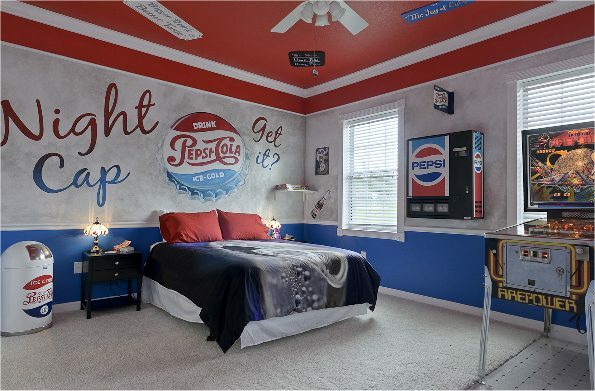 Coke and Pepsi rooms compete with each other for your attention and entertain with such amenities as an in-room pinball machine, themed games, Coke & Pepsi literature, and more. A lollipop room designed for kids has thousands of colorful balls coating the floor, a "lollipop stick quest," and plenty of other interactive entertainment. 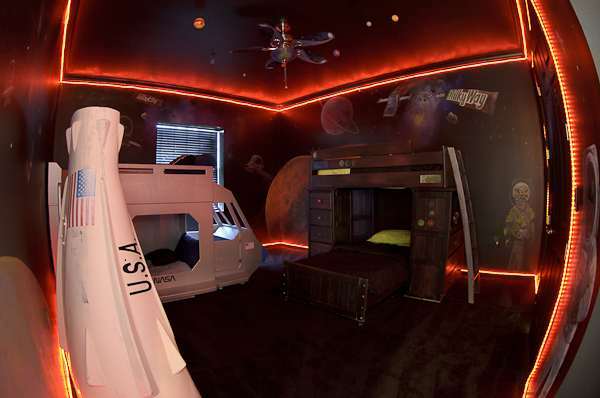 The couples-themed Hershey's chocolate room boasts a luxury massage chair and relaxing ambiance with excellent views of the ice cream cone pool. Outdoors, your whole group will enjoy billiards, a candy themed putt-putt miniature golf course, volleyball, tetherball, a human CandyLand board, giant checkers & chess, grilling station & pool area dining for 30+ people & more. The Sweet Escape is ADORED by families, couples, AND corporate groups of ALL ages. It is as luxurious as it is whimsical! Make your reservation today! THESE ARE JUST A FEW OF OUR AMAZING AMENITIES! Private put-put/mini golf, volleyball, tetherball, playground, chess, more..
Be A Rock Star Or Top DJ! 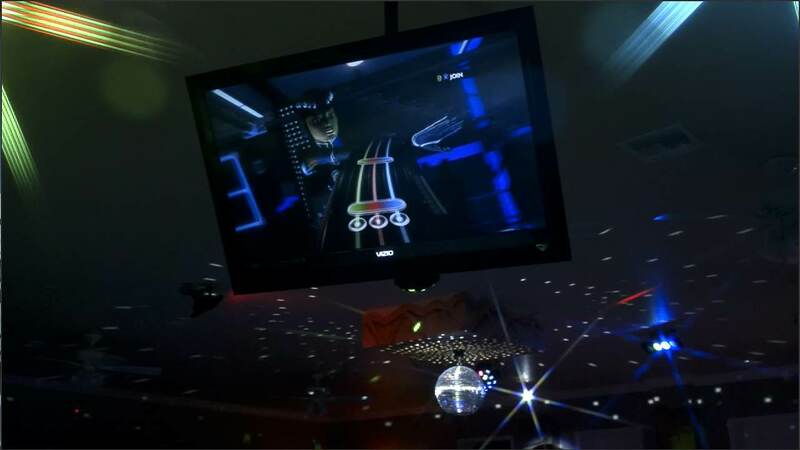 Play DJ Hero, Guitar Hero, Dance Rev, & More In A Huge Bass-Filled Night Club! Dance Like It Don't Matter! 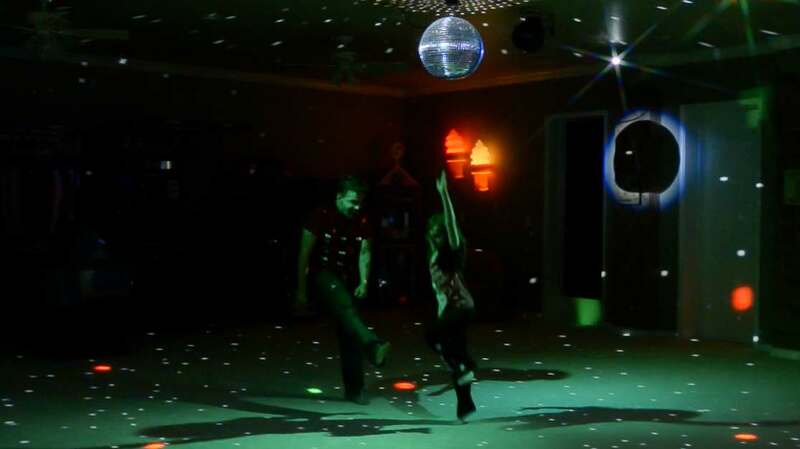 Enjoy your very own 1200+ square ft. night club with lights that dance to music! 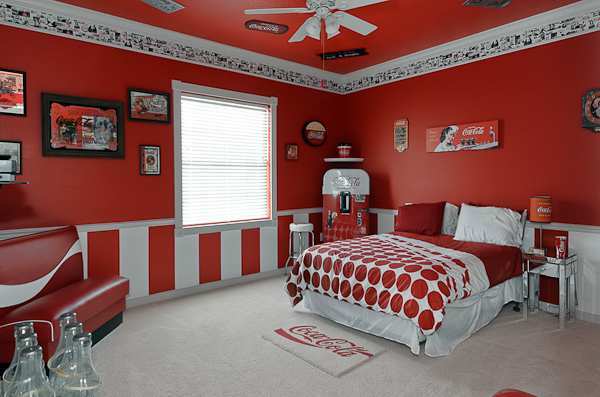 Play Coca-Cola Ring Toss! Check out a real vintage Coke machine. Read more.. Copyright © . All rights reserved. 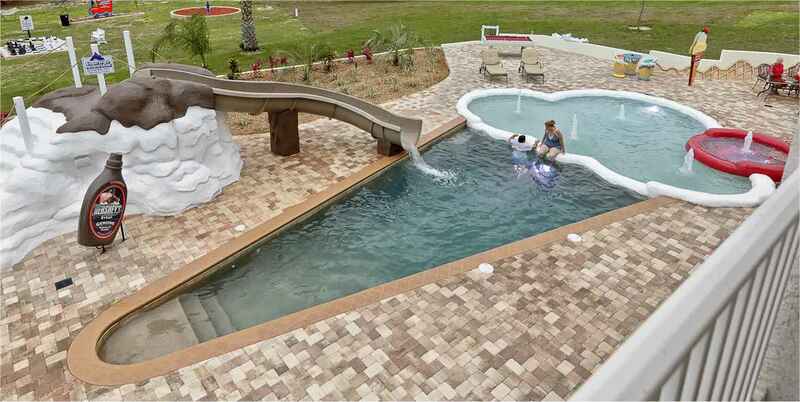 The Sweet Escape is a Private 5 Acre, 10 Bedroom Estate Outside Of Orlando, Florida. First class, SIX star service is provided to all guests during their stay. The owners reserve the right to refuse to book any guest who gives them reason to believe that they will be potentially destructive to the property. Bookings are on a first come, first serve basis. The Sweet Escape is in a secure, gated location with an excellent reputation. However, neither the owner, nor Orlando Area Luxury Rentals LLC are responsible for any damage to a guest's personal property nor for any injury that occurs during any guest's stay. Full terms of booking can be viewed in our standard rental agreement. If you have ANY questions, please click here to let us know or call 1-352-978-8730.